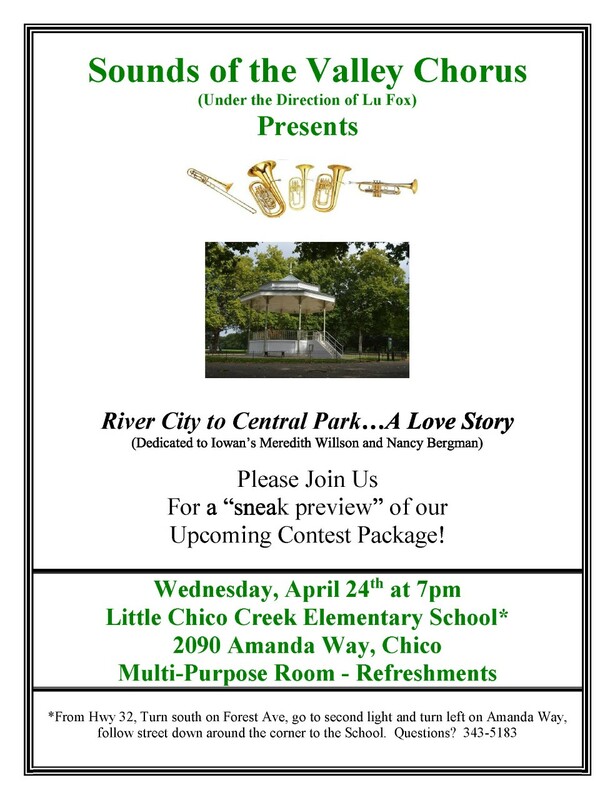 Location Change: Little Chico Creek is located at 2090 Amanda Way. 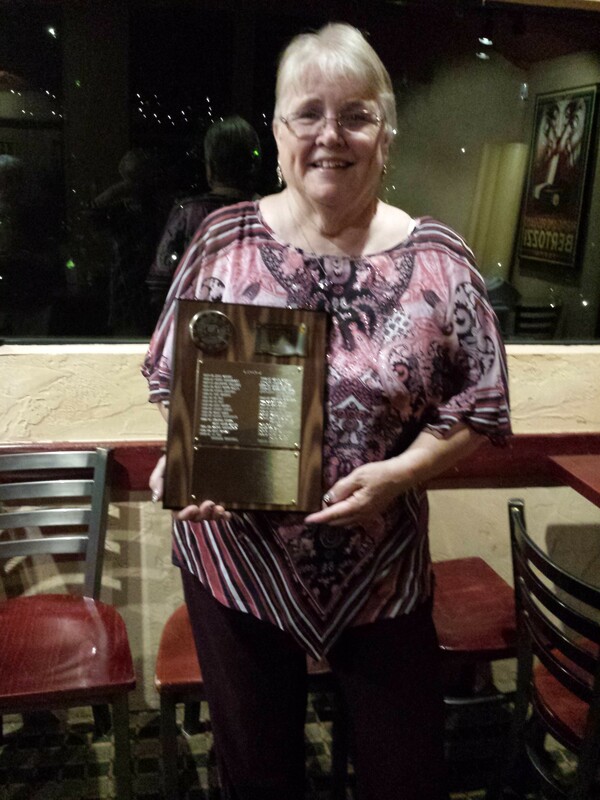 Sounds of the Valley Chorus is an extraordinary group of women who gather together in celebration of the art form known as barbershop music. 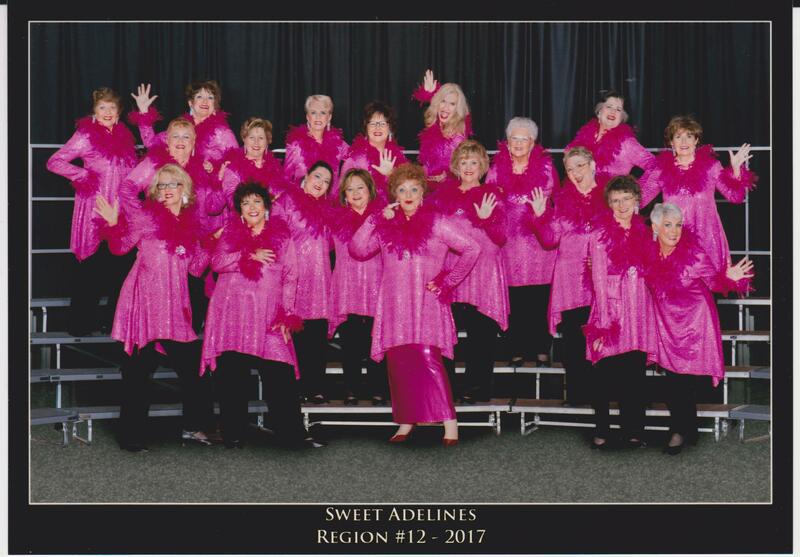 We are a chapter located in Region 12 of Sweet Adelines International, a worldwide organization of women singers committed to advancing the musical art form of barbershop singing through education and performance. Click here to go to our Facebook page and get all the latest news!! Our director is the wonderful Lu Fox, who inspires us to reach new heights with each performance. 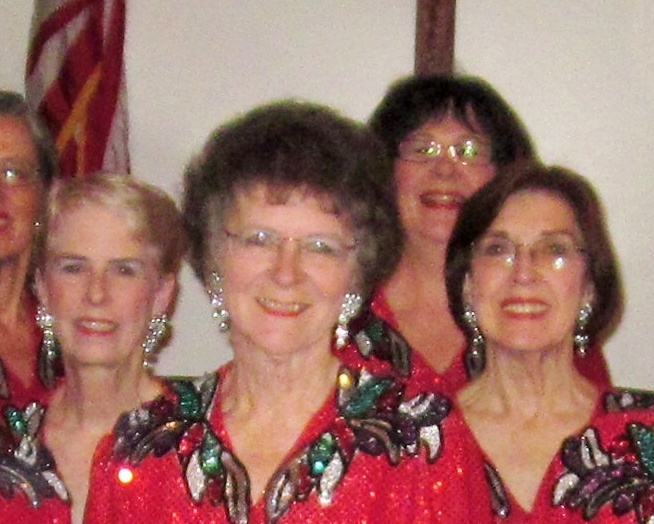 We can be heard throughout the year, singing for civic and charitable organizations, private groups, community events, and fundraisers. Corner of 5th Street and Flume, (Entry door is on Flume). 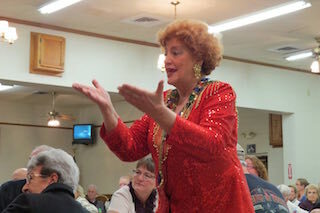 We love to entertain by putting on our own musical events each year for the community, our friends, and families. In an effort to stay committed to singing and performing at the highest level possible, we compete in an annual regional competition.